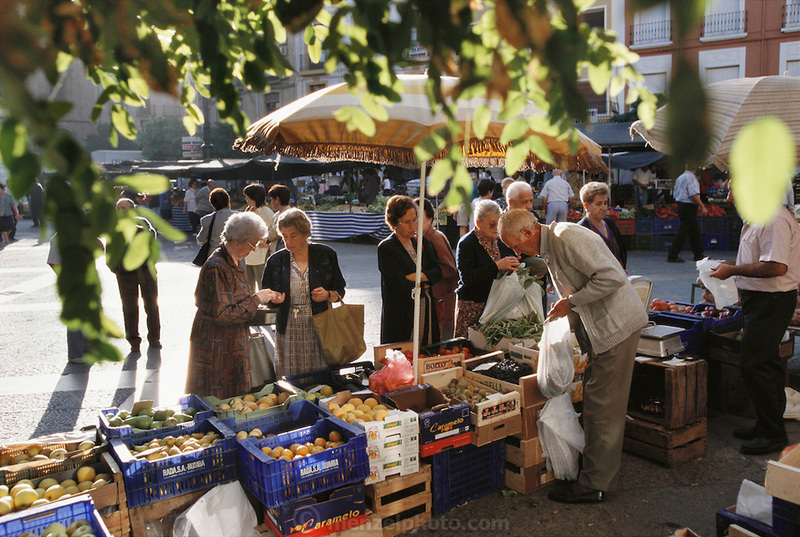 Thursday Market in the Plaza Del Raso, Calahorra. Calahorra is the major town in the Baja region of La Rioja. The Romans had a great presence here in ancient times and this is the birthplace of both the great Roman scholar Quintilian (A.D 35-100) and the poet Prudentius. .La Rioja, Calahorra, Spain.